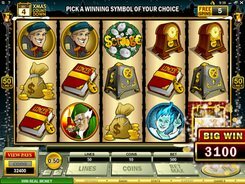 Scrooge is a marvelous 5-reel 50-payline slot inspired by a Dickens’ story, A Christmas Carol. On the reels you will come across the Ghosts of Past, Present and Future; Scrooge himself, Tiny Tim as well as a bunch of keys, long-case clocks, a massive safe, etc. 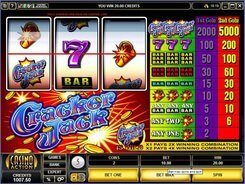 Betting anywhere between a penny and $250 per spin, you are in with the chance of hitting an eye-watering $50,000 top jackpot. 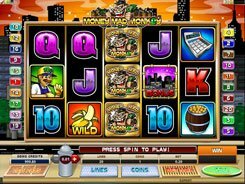 The slot offers a wild symbol, a scatter and the Christmas Dinner Bonus. 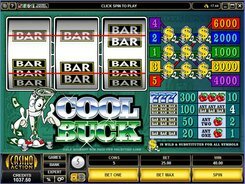 Free spins are earned in a very unusual way. There is the “Xmas Count Down” calendar showing a date in the upper left corner, and a free spins counter in the upper right corner. 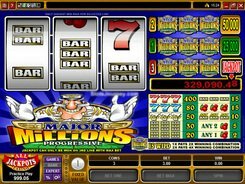 Hitting any winning combination adds one day to the calendar or one free spin to the right-hand counter. 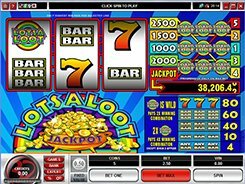 As soon as you get to the 25th on the calendar, you unlock a free spins feature with the number of spins being as shown on the counter. 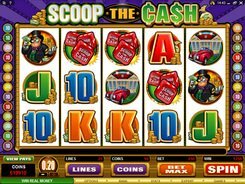 Along with this, the slot offers the Christmas Dinner Bonus where you have to choose Christmas meals for all five characters sitting at a dining table. The feature awards a win multiplied by up to x20 times your total bet in the triggering round.